I’m up in southern Ontario and we’ve had over a foot of snow dumped on us in the last 24 hours and it’s STILL snowing! I’m going to have to dig my inner kid out of the snow drift before I can find her. LOL! Good luck, hopefully you’re dug out by now. Hey bro. Found the inner child tonight. We’re in the middle of the blizzard here in NY. But after taking the train home from the City, Zach and I took the Silverado out for some donuts and skidding in the HS parking lot. The grown-up in me says that I’m teaching my son how to drive in and handle the snow. The kid in me says “yeeehaaaaaa!! Love to you and the family. Brother D.
Sounds like fun, I mean, educational in a learning to drive kind of way! I’m too much of a sissy to go do donuts in the school parking lot. I’d be afraid I’d get a ticket. Snow brings out my inner kid … and wearing socks on nice slippery waxed floors … and seeing those drinking bird things. 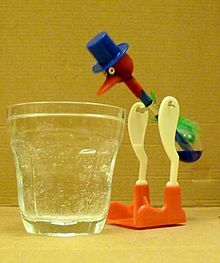 I love those drinking bird things. Like snow, seems like we don’t see them as much anymore. 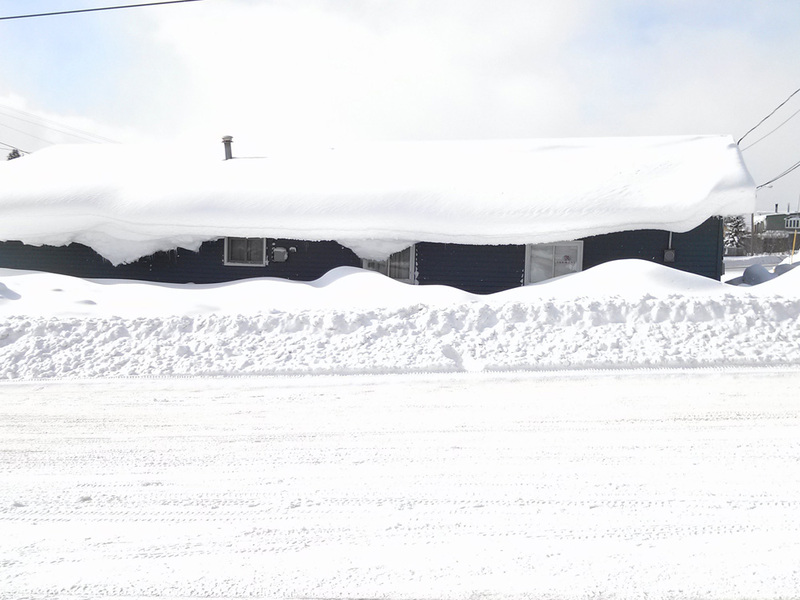 I loved reading about walking through that maze of snow…a wall of white everywhere. I don’t remember that storm, I was around 8 or 9. I probably loved it and my dad was probably out grumbling while he shoveled. I am looking out the window right now and Jim’s snow blower got stuck because the snow drift is too high. I’m thinking my inner child might come out and have to tunnel our way to freedom once this snow finally stops. Wish I was out there to see the snow. How fun! The timing was good, on a Friday, at least there were less people out and about today. Hopefully you’re all dug out now. Have fun! Glad I’m not the only one that remembers the good old days! Didn’t know that about the UK. What are the seasons… rain, rain, rain and rain?!? Pretty much. Neither Summer nor Winter all year round!